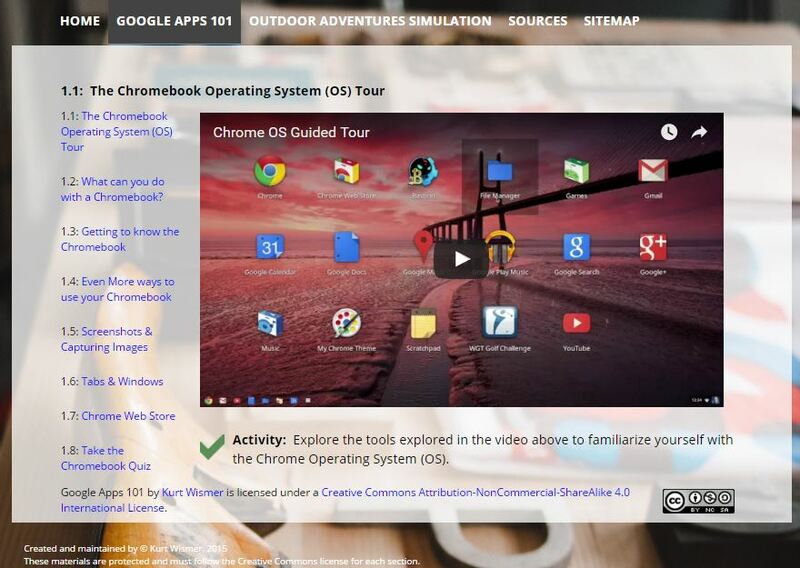 ​Credit: Andrew Moriates: Chromebook/Chrome CYOA Tutorial - website link. Google Apps 101 by Kurt Wismer is licensed under a Creative Commons Attribution-NonCommercial-ShareAlike 4.0 International License. Permission has been given to use these tutorials as long as credit was given to the creator.